FAIRFAX, Virginia (April 30, 2018) – Concept Plus, LLC is honored to be a recipient of the Virginia Chamber of Commerce’s Fantastic 50 Award for 2018. The award recognizes Virginia’s 50 fastest-growing companies and this is the fourth consecutive year that Concept Plus has been honored by the Virginia Chamber of Commerce. Concept Plus was ranked 21st out of 50 top companies in Virginia. Concept Plus is a SDB and 8(a) certified solution provider headquartered in Northern Virginia. Concept Plus combines technical expertise with domain expertise providing effective and efficient solutions for our clients. Concept Plus has certified practitioners in Oracle, Cloud and Mobile technologies. Concept Plus has been appraised at CMMI Maturity Level 3 and our Agile Scrum Masters and ITIL trained staff ensure that our delivery and program management processes consistently follow industry best practices. Oracle Application Management, System Integration, Cloud Computing, and Mobile technologies are our core strengths, but superior client satisfaction is our core focus. 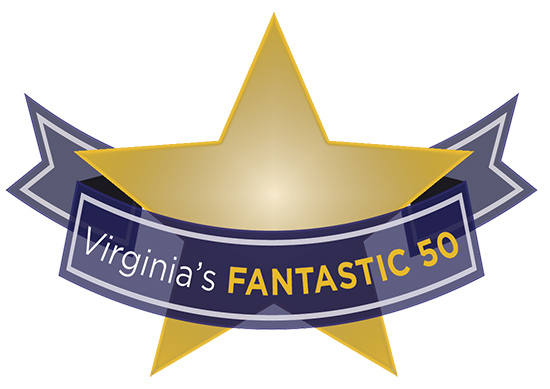 About the Awards—Virginia’s FANTASTIC 50 award program is a signature event of the Virginia Chamber of Commerce. Now in its 23rd year, the FANTASTIC 50 program is the only annual statewide award recognizing Virginia’s fastest growing business. Nominations for the 2018 FANTASTIC 50 were sought last fall from local chambers of commerce, economic development organizations, and through the sponsors’ networks; companies may also nominate themselves. To be eligible, a company must be privately held with headquarters in Virginia, show revenues between $200,000 and $200 million, and demonstrate positive revenue growth and positive net income in its most recent fiscal year over the previous year. Companies are judged on four-year revenue history. The professional service firm Dixon Hughes Goodman verifies all award entries. The Fantastic 50 award program is sponsored by the Virginia Chamber of Commerce, Cox Communications, Inc., Hunton Andrews Kurth LLP, Dixon Hughes Goodman, J.P. Morgan Chase, the Westfields Marriott, SunTrust Bank, Virginia Business Magazine and the Fairfax County Economic Development Authority.